My thoughts have been on Ireland of late, probably because St. Patrick’s Day is fast approaching. I missed last year’s St. Patrick’s Day parade in Raleigh, one of the largest parades the city hosts each year. After the parade, an all-day street festival breaks out, and I’m always torn between hanging out at the festival or going home to watch the ACC tournament. It’s an easier decision if my team is already out of the tournament. This year, I’ll miss the parade, and I’m not sure I’ll be able to find tournament coverage out here. If it weren’t for Duke (Coach K’s wins) and Syracuse (sanctions), I’m not sure the ACC would have made it into the papers here at all this season. But I digress. Along with a daily devotion, I’ve also been spending time in the mornings reading through The Collected Poems of W. B. Yeats, a tome I brought home from Ireland several years ago. I could have easily bought it at home, but I wanted it to come with me from Yeats’ own country. 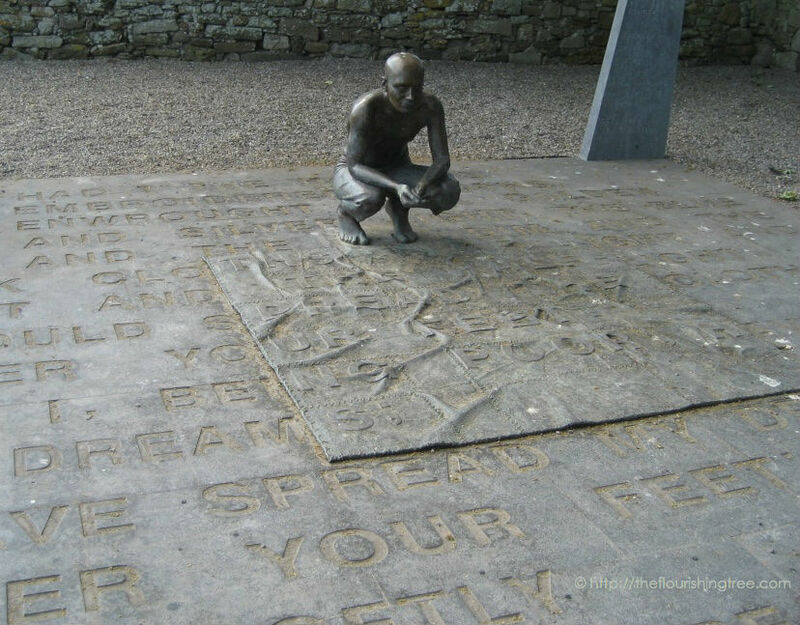 County Sligo—the setting of many of Yeats’ poems and the place where Yeats spent much of his youth—has embraced Yeats as its greatest poet, and you’ll find a Yeats literary trail throughout the county. County Sligo is one of my favorite places on this earth, mostly for its rugged beauty and friendly people, and seeing a place so embrace its native poet only endeared it to me even more. I read a poem of his yesterday that instantly transported me to a churchyard in Drumcliffe in County Sligo. This sculpture beautifully interprets Yeats’ poem He wishes for the Cloths of Heaven. The final line resonates with me. Artists share our dreams with the world in many forms, and we hope the world will embrace what we offer. May your light always burn bright. May your pen’s ink freely flow. And silence the one-star review. How about you? What dreams of yours do you hope the world will treat with kindness? What Irish blessings would you like to share with your friends to uplift them? 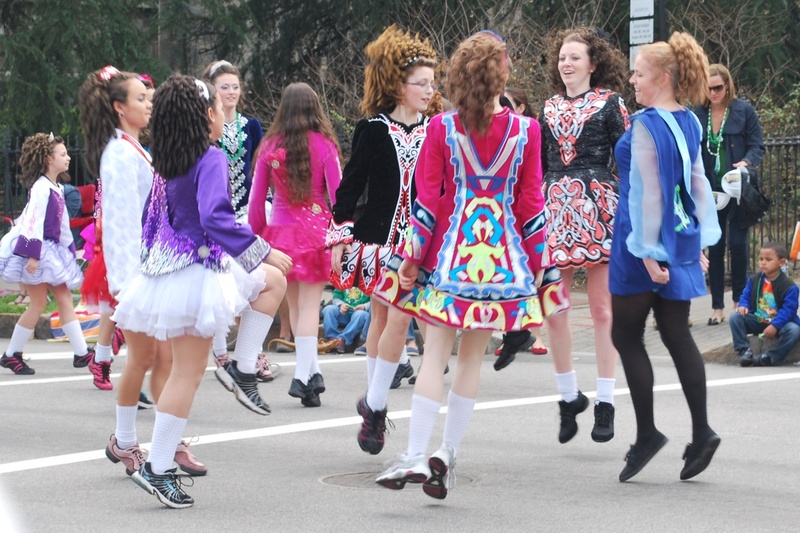 Will you celebrate St. Patrick’s Day by going to a parade or seeing Irish dancers or listening to some fiddle tunes? Maybe you’ll read a Yeats poem or two? If you do, I hope you’ll let me know your favorite lines. However you choose to celebrate, have a happy St. Patrick’s Day. I didn’t want to wait until my usual Wednesday post to share these photos of my city’s St. Patrick’s Day parade. It’s one of the few parades in the city that doesn’t require an entry fee, and so it brings out an interesting cast of characters, along with the ones you’d expect to find in a St. Patrick’s Day parade. This parade is always special to me. I used to march in it when I was an Irish dancer, and one year, I ran into a guy I knew from church right after the parade ended and realized I really liked him. He asked me out the next day, and we’ve been together ever since!